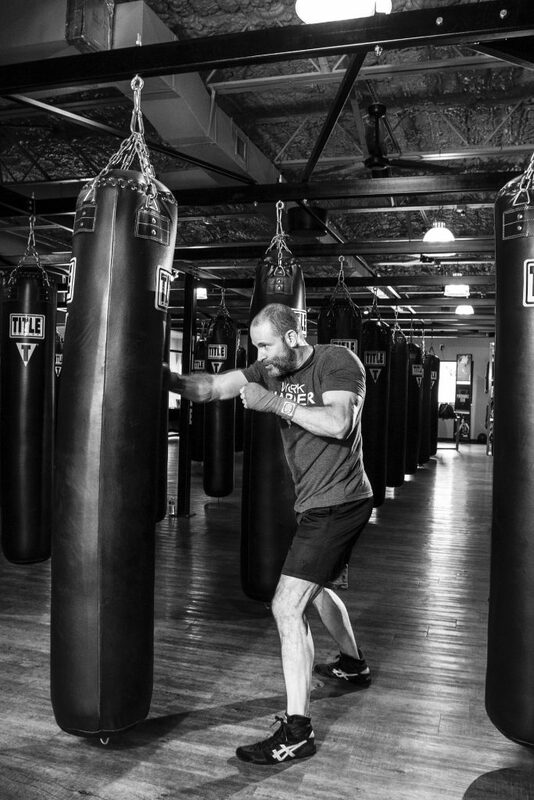 More and more personal trainers want to add boxing workouts to their client's exercise plans - and for good reason - boxing workouts are some of the most effective and motivating workouts on the planet. In terms of intensity - boxing workouts rank at the top of all sports. According to ESPN's panel of experts - pound for pound - boxing is the toughest sport around. Boxing workouts must ensure that boxers are capable of 100% physical and mental effort - round after round - in combat. That is no small feat. Physically that means that boxing workouts must develop strength, power, speed, agility, flexibility, endurance, stamina, and balance. Mentally that means that boxing workouts must develop resiliency and durability, nerve, superior hand-eye coordination, and analytic aptitude that facilitates instant decision making in high stress situations. No other sport (with the possible exception of MMA) requires participants - amateur or professional - to reach such a high standard of physical and mental development where the consequences for failure are potentially catastrophic. Combat is unforgiving. What is a Typical Boxing Workout? Boxing workouts consist of three minute rounds. They are a type of interval training based on three minutes of work followed by one minute of rest although the work/rest interval can change. The length of the work intervals make most other sports look like child's play. Boxing workouts have distinct phases. They usually consist of a warm up, shadowboxing, heavy bag work, skills development and/or sparring, conditioning, core work, and a cool down that includes mobility or flexibility training. Boxing workouts are progressive. Each workout builds on the skills learned in the previous workout while ensuring any muscle the boxer builds as a result of strength training is functional. I recommend adding two boxing workouts to your exercise workout plan each week separated by at least one day of active rest. It should be obvious that your training focus in every workout cannot be on all things at the same time. Your exercise plan requires some manipulation so you can focus on one effect at a time whether it is strength, anaerobic, aerobic, boxing workout, or some other type of workout. Spreading your focus too thin across all the different spheres that make up boxing training in every workout means that you'll never develop any of them. Likewise - focusing only on boxing workouts to the detriment of supporting fitness aspects will eventually burn you out and limit your progress. Further, boxing workouts should be progressive and consistently build on the skills and conditioning developed by previous workouts. I've done a lot of research to understand how the human body works and how certain workouts create certain results. The most frustrating thing is the sheer volume of conflicting advice in existence. For every study that supports one thing, there is a contradictory study supporting the opposite. I've concluded that we would all be better off if we treated ourselves like guinea pigs - tracked our results - and made up our own minds about works for us as individuals. However that doesn't mean that you disregard everything people have done before you and that's why I sought out the research of people like Dr. Frederick C. Hatfield, Ph.D., FISSA who did some very detailed scientific training analysis with Evander Holyfield. Holyfield's training was incredibly scientific and he had the best in their respective disciplines training him including Lee Haney (former Mr. Olympia) and Dr. Hatfield. Hatfield convinced Holyfield that his conditioning would improve dramatically if he incorporated a variety of training principles based on scientific findings into his workouts. Being the scientist he was, Hatfield recorded everything and Hollyfield's conditioning 12 weeks later improved dramatically from his start state, not just in one area, but all of them: agility, strength limits, explosive power, and ability to recover. In terms of an optimal boxing workout - we could do worse than start with the principles Hatfield recommended to Holyfield. I compared Hatfield's recommendations to what other sports disciplines were doing including sprinting, basketball, and football where the kind of anaerobic and explosive power characteristic of boxing is required either for sustained amounts of time or in short bursts. Most of those sports had already gone high tech, so to speak, and their top athletes follow plyometrics programs, do sport specific workouts, and train in cycles (periodization). Boxing, on the other hand, still has an abundance of people recommending the same training methods used fifty years ago. I compiled a list of boxing training myths. How many of them are you still following? The first and foremost principle one can take away from Hatfield's research is the idea of a training cycle. A macrocycle consists of a predetermined period that is usually annual but can vary depending on the sport. Pro boxers tend to fight once or twice a year now (which is ridiculous) so a 12 week macrocycle makes sense. At the end of every 12 week cycle - the boxer is ready to fight. The 12 week macrocycle consists of three week mesocycles - four equal parts. Each mesocycle consists of smaller microcycles that concentrate on specific conditioning and sport specific skills and each mesocycle builds on the skills and conditioning learned in the previous one. The boxer's level of skill and conditioning reaches a peak at the end of the macrocycle. Subsequent macrocycles then have heightened start states resulting in ever increasing end states. All I just said is that it makes sense to build boxing workouts into exercise workout plans that are based on 12 week cycles. Within those 12 weeks, there will be four x three week cycles with each one getting progressively harder. Completing one 12 week cycle will have you in exceptional shape. Completing more than one will make you one hell of a fine physical specimen. Each 3 week cycle focuses on all the boxing workouts that will develop you as a boxer: explosive power and strength, endurance, stamina and agility, and so on. Like I've said over and over again, boxing workouts are by far the most intense, satisfying workouts you can do. I know you're going to love them. All aspects of the boxing workout I outline below contain specific directions but in general they should be done in a boxing workout format - 3 minutes on, 1 minute off to simulate rounds in the ring. When you begin - three minutes is going to seem like an eternity especially if you are giving it your all, but in time, things will get easier and that will be a sign that your conditioning is improving. To be able to go 12 x three minute rounds with one minute rest between each, you have to be in top shape. Round 3: skip rope for 3 minutes, immediately followed by 25 pushups. Rest and wrap your hands. Note: There are different ways to skip rope. Try mixing it up - boxer's shuffle, crossovers, double unders, side to sides, and so on. All increase the intensity. You should also get used to progressive overload. 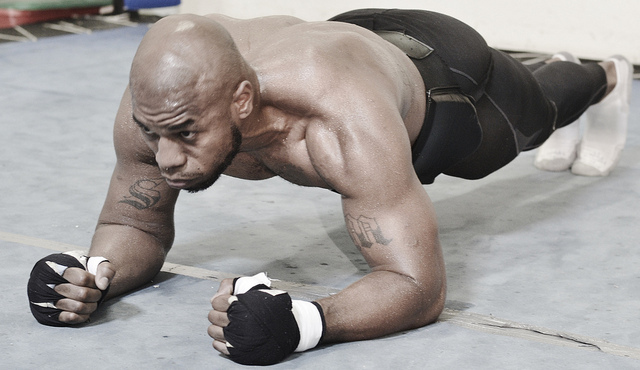 When you can do 25 pushups for three rounds you increase to 30 pushups, then 35, then 40 and so on. Always increase the intensity if possible. 1st minute: footwork only, work the long and short rhythm described on this site. Move left, move right, pivot...keep your hands up and consciously watch yourself to make sure you are doing it correctly. 2nd minute: Practice your defensive moves. Duck, slip, parry left, parry right, catch jabs. Picture an opponent throwing punches at you, get your imagination working. 3rd minute: Add in the punches. Start slow and end fast. Work through the major combinations: 1-1, 1-1-1, 1-2, 1-2-3. Speed is great, but technique is better at this stage, watch everything. Keep your hands up, stance correct. Picture that opponent, knock him down, knock him out. To start with, do five x three minute rounds on the heavy bag with one minute rest between each round. Technique - slow everything down and concentrate on doing everything right. Speed - in this phase, speed is your goal, unleash it all and move around the bag, throw punches, defend as fast as the best lightweight out there. Power- hit the bag hard with every punch, do everything in the correct form, but let it have it. I'm talking Hulk like punches here. Finesse - in this phase, practice all the different kinds of boxing: outside boxing - emphasis on long rhythm, jabs and footwork - inside boxing - get up close, quick head movements and footwork, lots of hooks, uppercuts, short power punches. Move quickly around the bag, pivot, punch. Counterpunching - picture the bag throwing them back, react and unleash the countermoves. Combinations mix it all up, confuse yourself and work it out. You're never going to know 100% what is coming in the ring and you should train how you fight. Body- Go for body shots, keep your legs fully bent for the duration of this and throw only body shots. Develops extreme power in the legs. Now is when you take two or three rounds to develop some new boxing skill. Whatever it is you do one thing and you do it repeatedly for the entire round. For instance, if it's a certain combination such as a 1-2-5-3-2 you drill that over and over ensuring your technique is perfect. This would also be the time when you'd do some sparring or mitt work with your coach. I suspect that most of your boxing workouts are going to be without a partner. You'll likely only have a partner when you are in the gym with your trainer or the like. However, it is the times in between sparring sessions that you learn and perfect your skills - so use the time wisely. Leading into the cooldown you'll do two sets of bodyweight training focusing on either the upper or lower body. The way it works is that you do as many of the specified exercise as you can for the time allotted, then switch to the next exercise without taking a break until the round is over. Stretch it out. Work on your flexibility and mobility so you can do it all over again without the stiffness and soreness that is inevitable no matter what you do. But damn - you'll be in good shape. Boxon.